The use of forestry machinery is moving to more complex terrains, where there is no room for compromise. 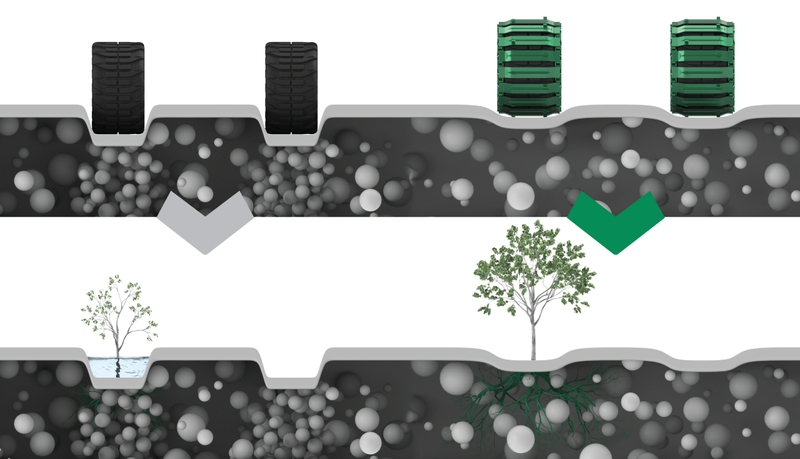 It is necessary to ensure good traction of the machine, minimal impact on the forest oor and minimal fuel consumption. Tracks have a much larger contact area with the ground compared to forestry chains. 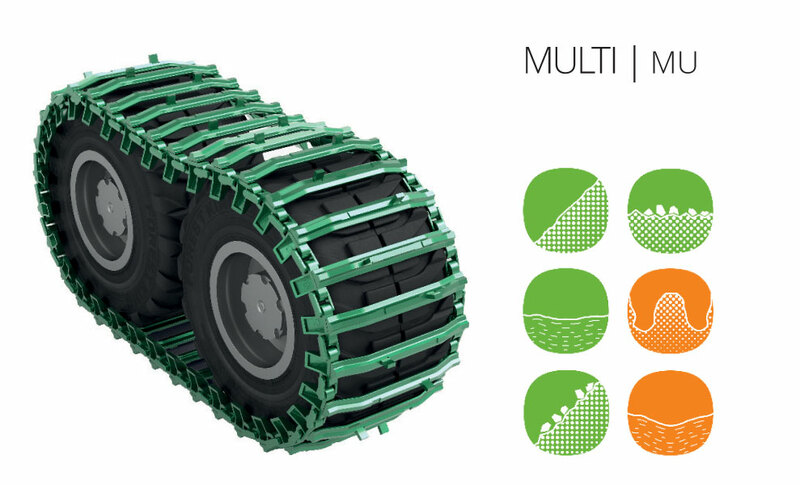 Regardless on what ground you use the work machine, the greenTrack tracks provide good traction and greater force transmission. 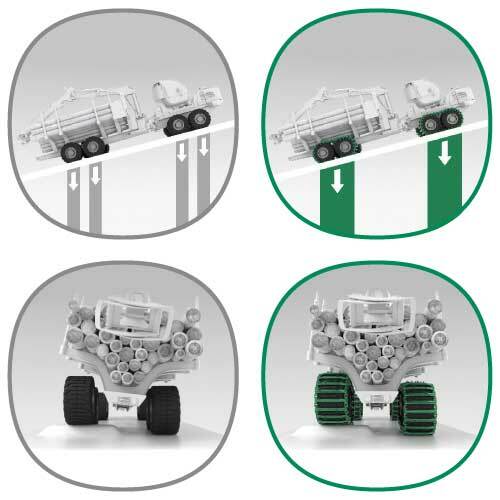 For optimal traction of the tracks with tyres, it is recommended to use tyres with a special channel, into which the track “rests”. An important part of the machine are the tyres, which represent a substantial cost. 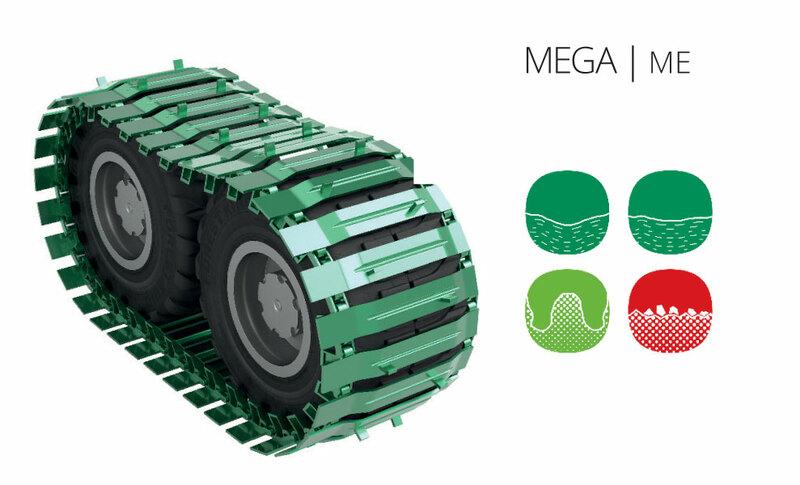 With tracks, the lifetime of the tyres are prolonged by up to 60%. 2. 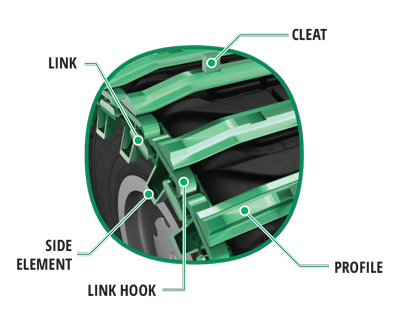 Protection of the tread and the sides against sharp ob- jects (stones, rocks), which “cut” into the tyre pro le, thus destroy- ing it. In a society where caring for the environment is becoming increasingly important, we cannot ignore the impact forestry machinery has on the forest floor. In a society where caring for the environment is becoming increasingly important, we cannot ignore the impact forestry machinery has on the forest floor. To this end, the Biotechnical Faculty of the University of Ljubljana conducted a study in 2010. The graph below shows a part of the study, i.e. 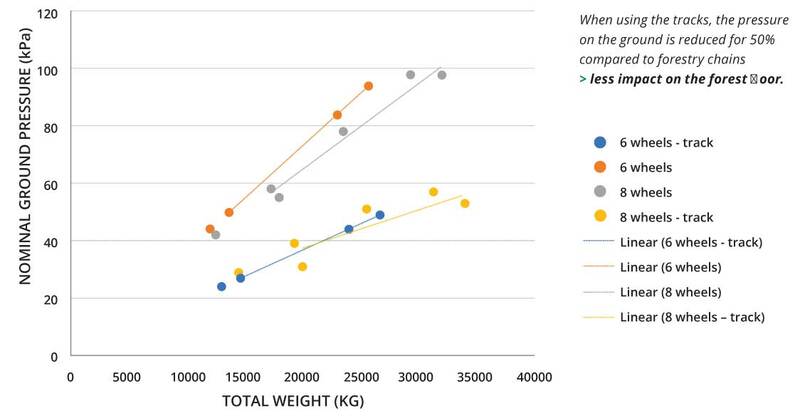 reduced nominal ground pressure between 30 and 50% when using tracks instead of forestry chains. – a great local burden. – the force is distributed over a larger area. A long-term impact on the environment with the use of forestry machinery. The use of greenTrack tracks increases the contact area, thereby reducing the draft of the machine and the resistance which has to be overcome, while at the same time reducing the fuel consumption. We have been gradually developing the greenTRACK tracks for many years before reaching the desired results and o ering the product on the market. We have been in a constant search to nd a compromise between material durability, price and impact on the environment. 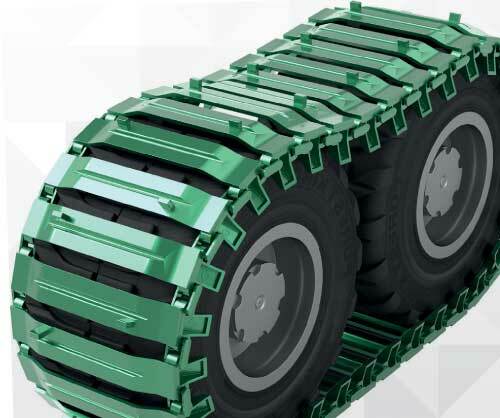 During the development, we cooperated with experts in the eld of materials and thermal processing, and end users who have the most experience and, most importantly, provided feedback regarding the use of tracks. We have chosen rolled pro les, not castings, as various researches conducted by experts have shown that only rolled pro les achieve an correspondingly ne structure of the material, ensuring an even and adequate hardness and toughness through the entire pro le. We have chosen boron steel, which achieves an optimal ratio between hardness and toughness after the process of hardening. Hardness is important because of the abrasion of the tracks, while toughness ensures the material is not fragile and does not crack during higher loads. A vital part of the tracks are the links. 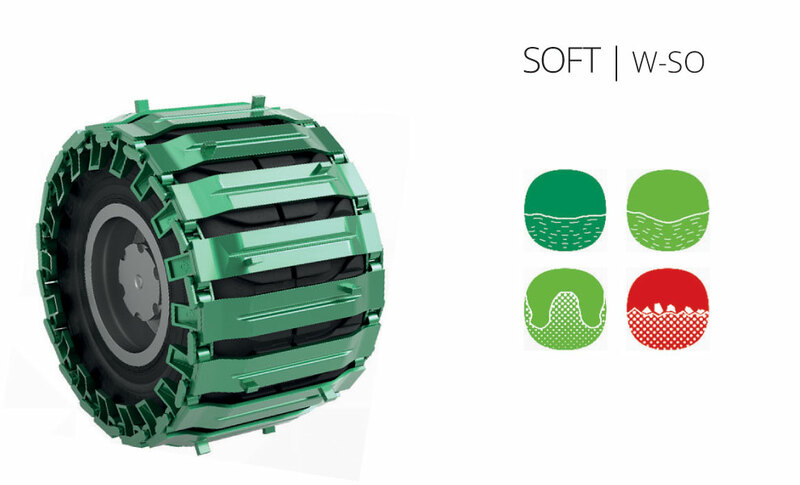 Based on analyses and testing, we have determined the optimal diameters of the links, which provide the appropriate transmission of forces and do not increase the weight of the track. We have developed Ø 22, Ø 26 and Ø 30 mm links. a smooth application. 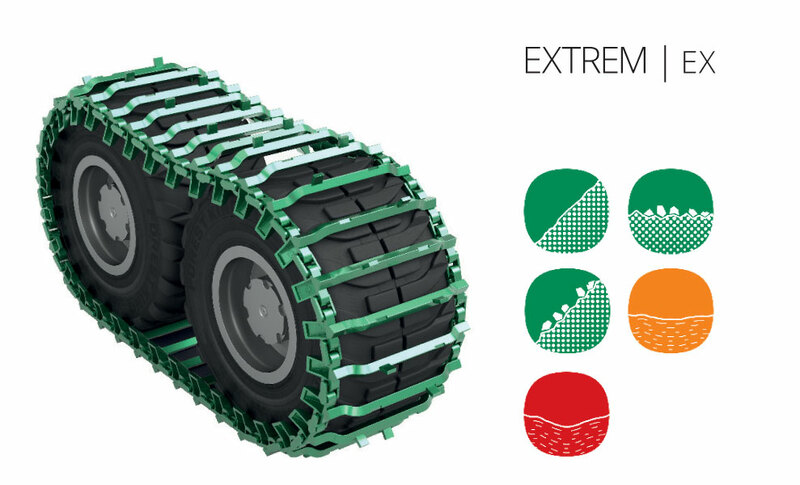 To prolong the lifetime of the track or enable its use in extreme conditions, we recommend the Ø 30 link. 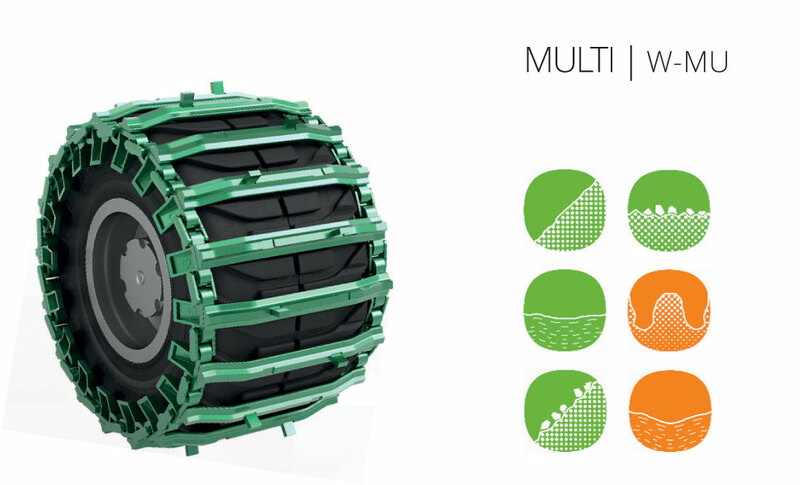 With additional material, it ensures the transmission of greater forces and a longer lifetime, while only slightly increasing the weight of the tracks. If the total weight of the track is more important than the force, i.e. during operation, it is possible to install slightly lighter Ø 22 mm links. In addition to the links, welded teeth are also under a great load and the most exposed. 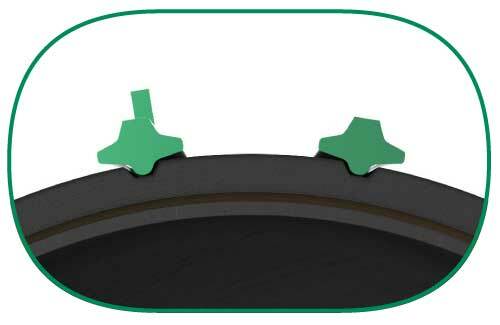 The material is the same as for the pro les, ensuring the same welding conditions. The teeth are serially welded prior to the heat treatment of the track in order to avoid any local softening of the material. The place where the teeth are welded is of a speci c form, providing additional support. The welds are even and continuous, ensuring a long lifetime and usefulness of the teeth. In most cases, one tooth is welded on the crosspiece – alternately on each side. At the customer’s request, we can also weld more teeth, thus increasing the grip.